News and Insights for Specialty and Artisan Foods focused on delivering new solutions to the premium foodservice community of chefs, brands, independents and hospitality venues. Why are Coffee Chains Attractive to Franchisees? Are Alcohol-Based Hot Sauces About To Take Menus by Storm? Will the Cannabis Boom Expand to These States After the Midterms? Why Did Target Drop Hampton Creek Products? The Foodable Network recently partnered with the Specialty Food Association, a trade organization for members and the producer of the Summer Fancy Food Show, a massive trade event geared toward the specialty food industry professionals and the largest of its kind in North America. “The Specialty Food Association is steadfast in our commitment to the success of those who bring the emotional experience of specialty foods to the consumer,” states the company’s website. It offers a community for innovators in the field to make connections, find support, showcase their skills, and reach out to the public. The new partnership will allow Foodable to set and produce an exciting media stage to help feature a wide range of innovations at the upcoming Fancy Food Show this summer. 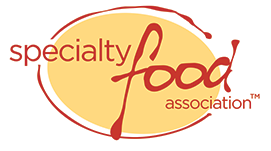 Foodable and Specialty Foods Association have also partnered to provide special video episodes, called SFATV LIVE, which will help reach a larger audience.